So, the referendum passed, the State approved our grant, and the Board of Trustees donation is all ready – how come nothing has happened?! Those are all huge hurdles to have overcome, but they are just the biggest ones. We have small hurdles to jump before you’ll see construction start. 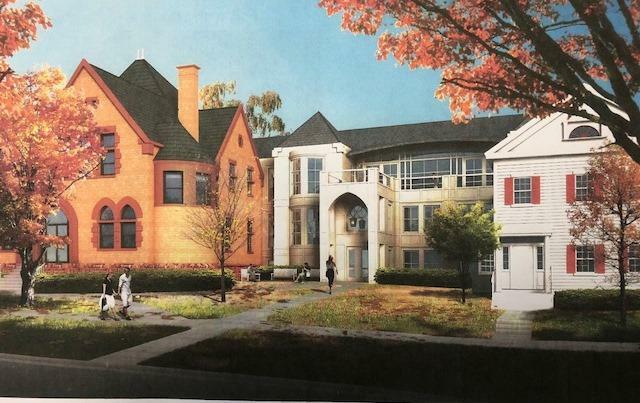 First of all, the grant is contingent on the State Historic Preservation Office approving our plans. We have begun that process, which takes a month or two. It can take 1-3 months for an approved State Library Grant to make it onto the agenda of the State Bond Commission, which is the disbursement authority for the grant. After all that, we need to go through the bid process, so that we secure the best work for the best price for all of you. We also have to move most of the collection into storage and consolidate our functions into the original Library, which is a pretty huge task. For the duration we will be open normal hours and will continue to offer the service of borrowing books from other libraries (libraries are all about the greater good, so even though we won’t be sharing our collection, they are all very willing to help us out!). Yes, it will be tight quarters, programs will have to be offered offsite in a lot of cases, and probably not as many, but we will get through it together – well worth it for the end result! Well here it is, the start of a new year! I hope it finds you all happy and well. Hopefully you are also happily employed, but what about family and friends or maybe you need a change? JobNow is a service that NMPL subscribes to for our patrons. 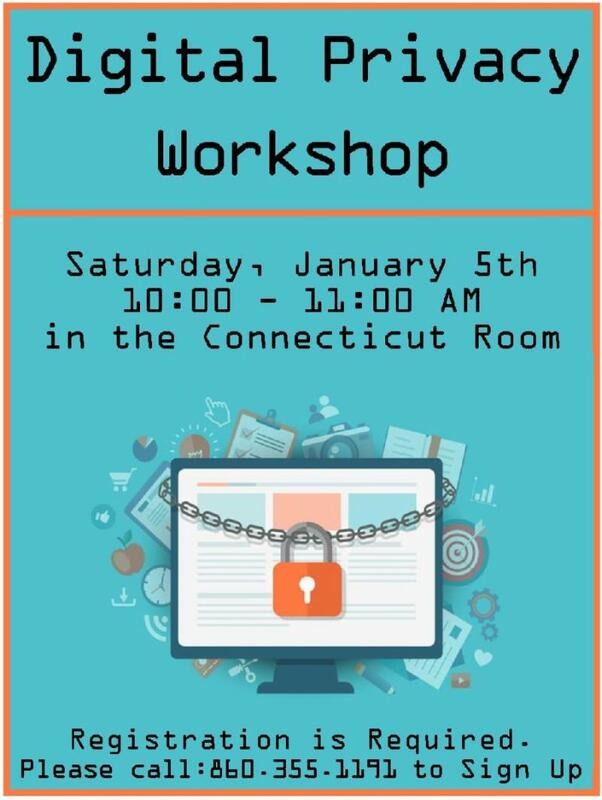 It provides not only links to online resources, but also live, interactive sessions with trained job coaches. A job – where to start? Perhaps you (or a family member or a friend) have a particular field you are interested in. Then you can do a keyword or company search. Perhaps you need either a resume or an updated resume. Use the Resume resources section and/or talk to a job coach to help, advice and feedback. Maybe you have concerns about job interviews. Check that section for tips, resources and again job coaches who can assist you. Maybe you are a recent graduate or are looking for something new and exciting? 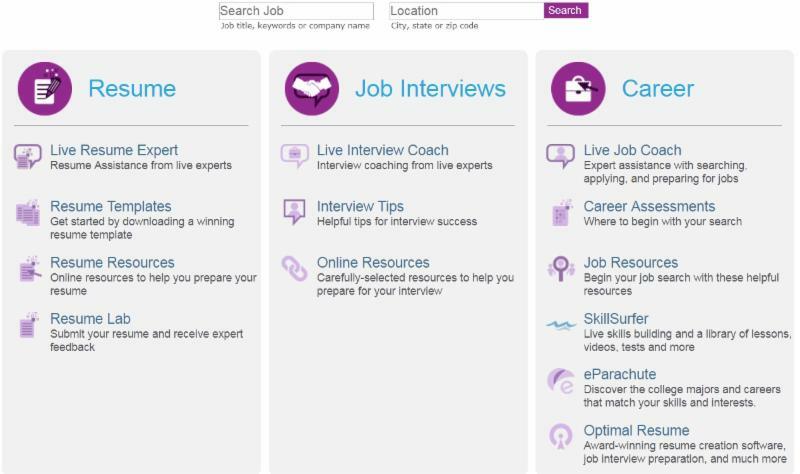 Go to the career section where you can find career assessments, eParachute which matches your skills and interests with college majors and careers, SkillSurfer provides skills building, lessons and practice tests. Now, there is another section of this service that assists Adult Learners. Here again are career resources, but also help with H.S. 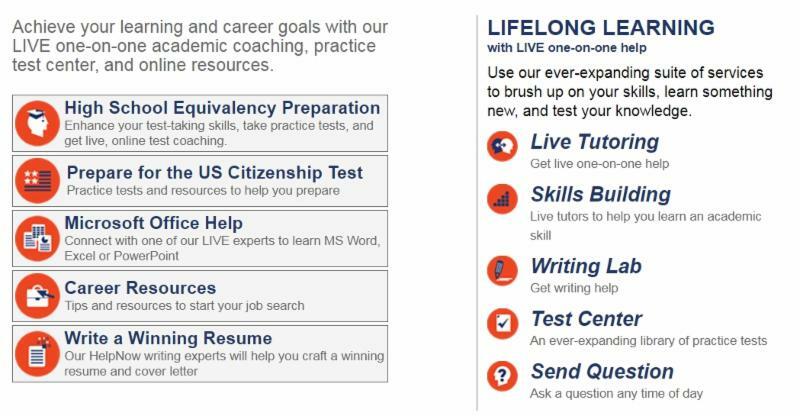 Equivalency, Citizenship Tests, Microsoft Office Products and other academic skills. And again these resources are both online and with job coaches. So please check out this service and tell your family and friends. The “proof of the pudding” as they say, is that it works because we just received a thank you from one of our patrons who obtained a job using our resources! 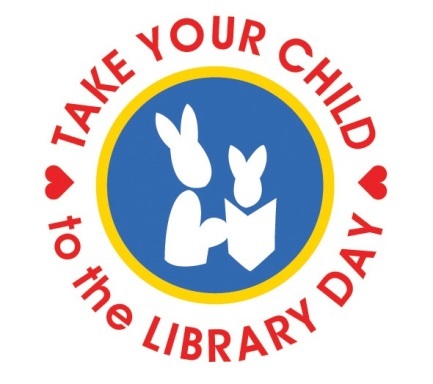 On Saturday, February 2, 2019 public libraries throughout Connecticut and beyond will celebrate the eighth annual “Take Your Child to the Library Day” with free events and activities for children and families. Launched in Connecticut in 2012, “Take Your Child to the Library Day” has blossomed into an international celebration with nearly 1000 participating libraries from 49 states and 5 countries. The event was developed to spotlight libraries as vital community resources that enrich, educate and entertain – and to encourage families everywhere to take their children to their local libraries. 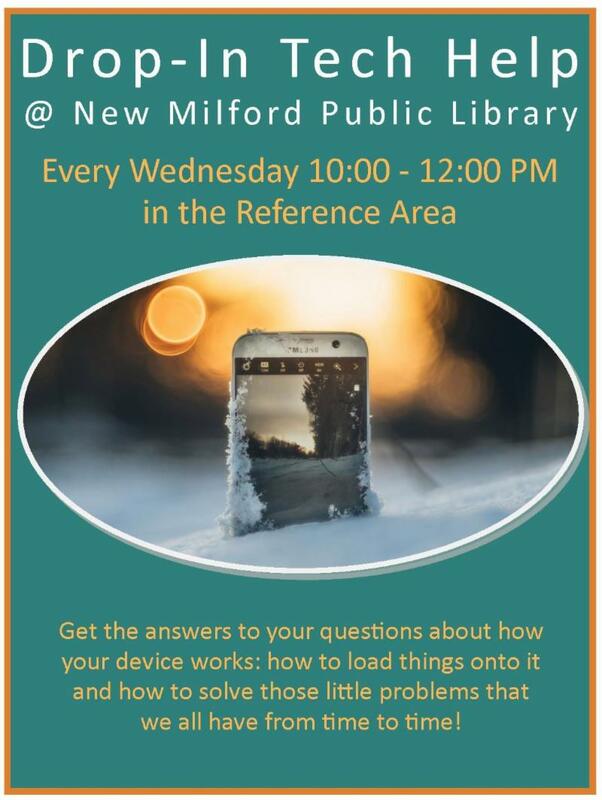 New Milford Public Library will be participating by holding an “Ice Cream for Breakfast” event at 10:30 AM (registration is required – call 860-355-1191, extension 3, or stop by the Children’s Department to sign up), having a fun craft available in our “Craft Cubby”, and handing out pencils and bookmarks in the Children’s Department all day. Make sure to stop by and enjoy some of the fun. 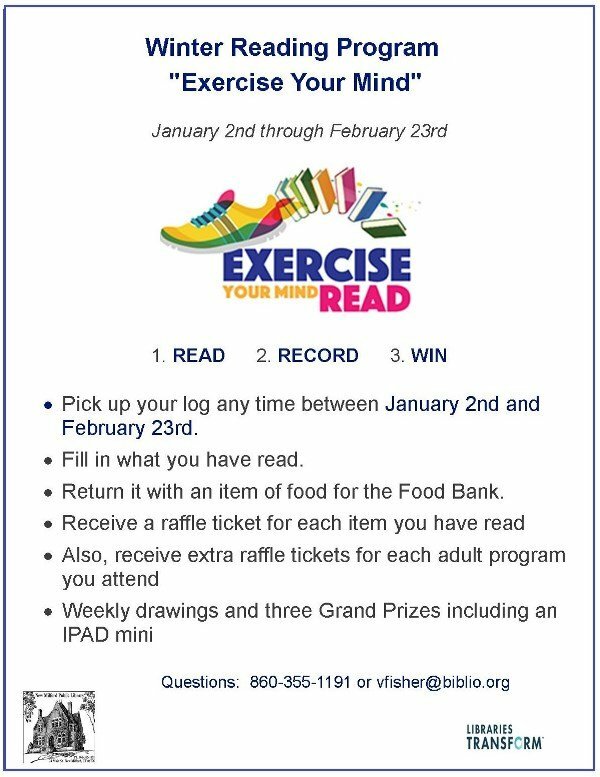 If you don’t already have a library card for your child, make this the day to get one! We are looking forward to seeing you here. The library has many story times, teen programs, special events and family programs all year long and there are always great books and materials to take out-so any day the library is open can be a ‘take your child to the library’ day. 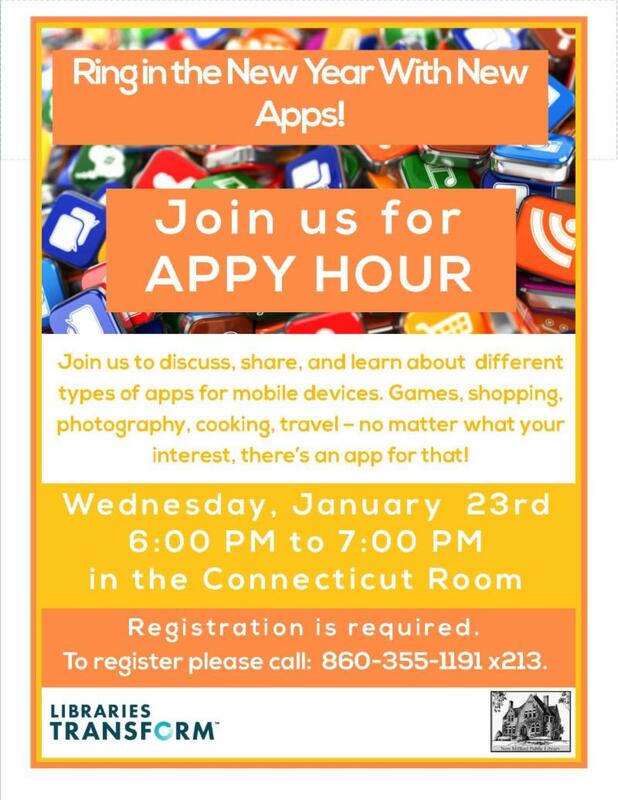 But this event is a nice opportunity to take the time to remember what a great resource your library is for your family’s educational and entertainment needs – and it is free! Come join the fun with our new YA Librarian! 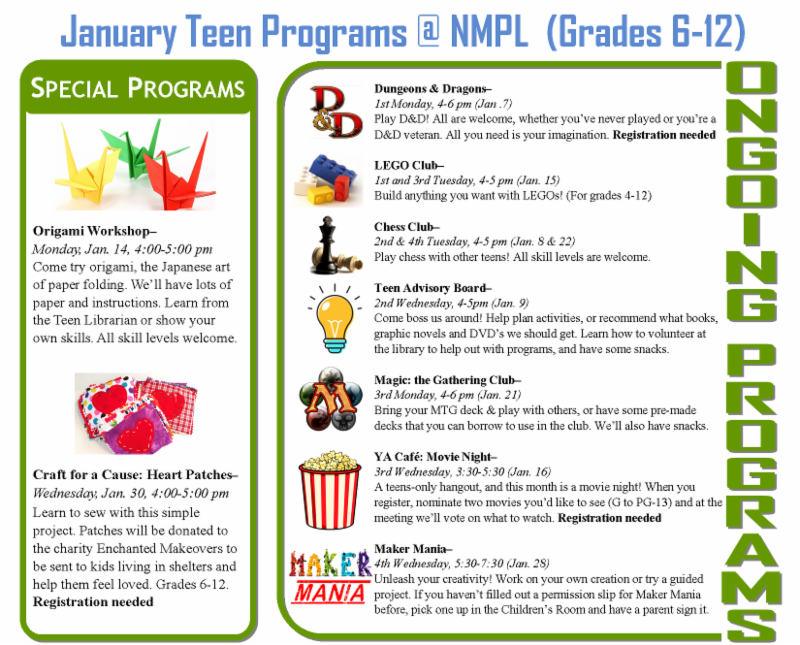 She will be having all the Teen Programs you love as well as some new and exciting events for 2019. Keep an eye out for a trial run of a new service coming in January. 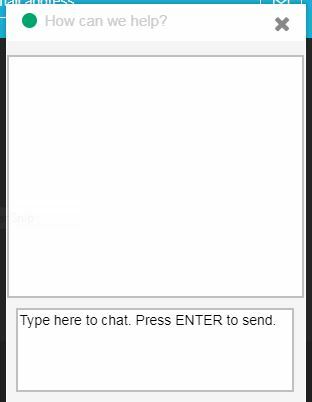 Most consumer websites have a chat button nowadays, so we are going to try it for 3 months to see if you like it and find it useful. We’re not really sure how it will work at this point, so we can’t describe it in detail, but please let us know once it becomes live!